The Museums of Port Isabel Celebrates their Annual Los Colores del Muerto! 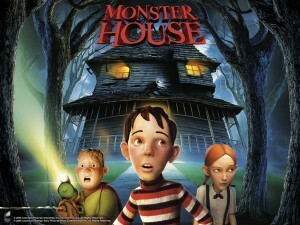 October 25: Lighthouse Establishment Cinema “Monster House” 8:30 p.m.
October 26: Day of the Dead Celebration 4-11 p.m. The Museums of Port Isabel, in collaboration with the City of Port Isabel, the Laguna Madre Museum Foundation, the Port Isabel Economic Development Corporation, the Laguna Madre Art League, present their Annual Day of the Dead festival – “Los Colores Del Muerto” on Saturday, October 26, 2013 from 4 to 11 p.m. at the Port Isabel Historical Museum, 317 E. Railroad Ave. in Port Isabel. Dia de los Muerto, Day of the Dead, is a Mexican custom of celebrating all souls and all saints day in a festive atmosphere. Because the Mexican culture find joy in remembering loved ones who have passed away, they spend a night and a day at the burial sight of the deceased family members, honoring the memories of their lives. Traditionally, the Day of the Dead was a three day and three night festival that mixed Spanish Catholicism with Mesoamerican Indian roots. The ancient custom has now been transformed to fit the Mexican-American households of today. Dr. Medrano, Speaker. Treasures of the Gulf Museum. Telling Our Stories: Speaker~ Mr. David Bowles. David Bowles resides in the Río Grande Valley of south Texas with his wife and children. Bowles launched his D’ANGELO CHRONICLES in 2009. In April of 2011, Absey & Co. published THE SEED: STORIES FROM THE RIVER’S EDGE. In 2012, Bowles teamed up with painter Noé Vela to create MEXICAN BESTIARY. In August 2013, Lamar University Press released FLOWER, SONG, DANCE: AZTEC AND MAYAN POETRY, a collection of Mesoamerican verse translated by Bowles. He has served as editor for the ALONG THE RIVER anthology series, DONNA HOOKS FLETCHER: LIFE AND WRITINGS, the magazine FLASHQUAKE, and LA NORIA Literary Journal. His book review column TOP SHELF appears each Thursday in THE MONITOR, a regional newspaper. Sponsored by the Museums of Port Isabel. Throughout the day there will be Day of the Dead Altars and Artwork on display in the Treasures of the Gulf Art Gallery. VENDOR INFO: If you are interested in vending opportunities at the Day of the Dead event, contact Jeannie Marie A. Flores at 956/943-7602 or emai: museumdirector@copitx.com. From 7:00 – 11:00 p.m. a PORT ISABEL COMMUNITY STREET DANCE will be held on Tarnava Street between Railroad & Hickman! The public is invited to attend this free event. Live music, vendors and lots of family friendly fun! The last movie of the 2013 Lighthouse Establishment Cinema will be presented on Friday, October 25 at 8:30 p.m. As part of the Halloween and Day of the Dead festivities, “Monster House” will be screened as part of the free, family fun offered by the City of Port Isabel, the Port Isabel Economic Development Corporation and the Museums of Port Isabel. Concessions offered. For more information contact the Museums of Port Isabel at 956/943-7602 or email Director, Jeannie Flores at museumdirector@copitx.com.